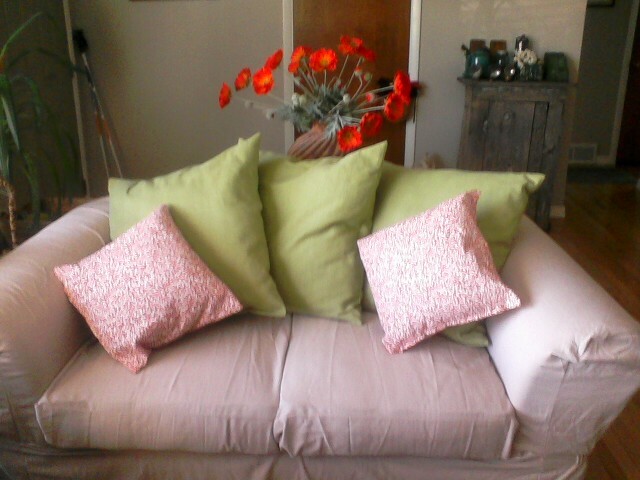 My neighbor wanted a new couch but her old one was in good shape. 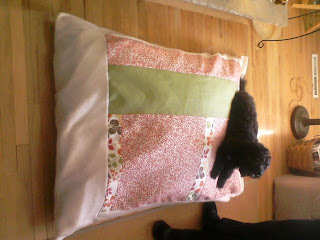 She bought a soild slip cover and then I recovered the pillows from fabric she chose and viola! 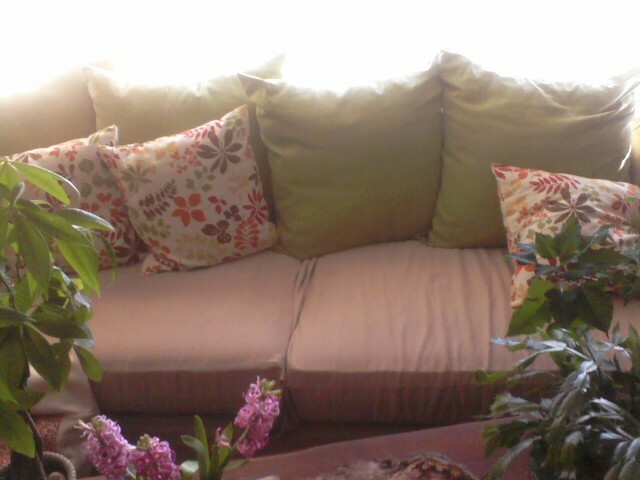 It's a new couch! It's amazing how much some nice bright colors can change an entire room.